Join us in working to defeat Trump and the Republicans! Join our email list to stay in the loop. Want to run for office or manage a campaign? Fill out this form so we can help you. 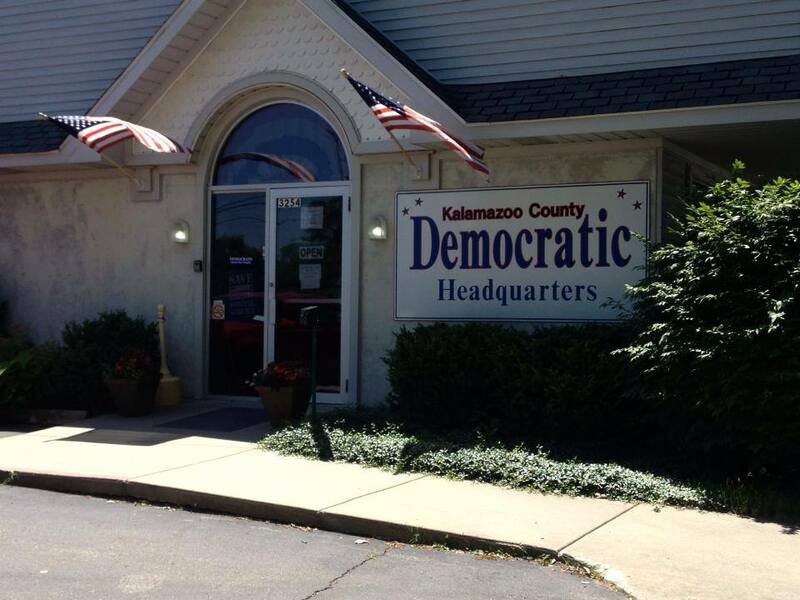 Welcome to the official website of the Kalamazoo County Democratic Party! The purpose of the KCDP is to promote the philosophy of the Democratic Party and to elect Democrats who support this philosophy, and further, to unite and to aid in the activities of all Party members, precinct delegates, committees, office holders, candidates and all other Democrats working to promote wide and active participation in the Democratic Party. It shall also provide information regarding issues and positions of the Democratic Party to the general public. Help us get Democrats elected by donating to the KCDP account at ActBlue! Note: Donations to the KCDP are not US tax deductible. The KCDP is made up of hundreds of members seeking to elect Democrats to local and national office through grassroots organizing in order to bring progressive change to our community starting with each neighborhood. Our monthly meetings are every Third Thursday of the month currently at IBEW Local 131 3641 East Cork Street, Kalamazoo, MI 49001. There is a speaker/presentation from 5:30-6:15 followed by the business meeting that typically goes until 7:30. Everyone is welcome and we encourage you to attend! How can we help you and your community?